Oh cool! I took it apart. I had sat for years and the rings were stuck. 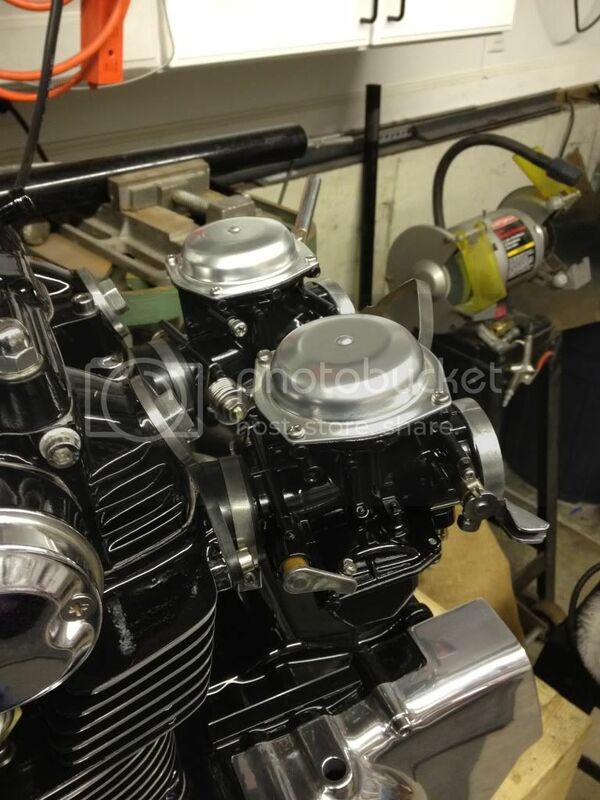 I honed the bores and installed new rings and lapped the valves. Your fins turned out great. Did you use a block on them or by hand? I filed mine to clean off the casting flash and they are still really sharp edged. I did it by hand. Before I sandblasted it, I took a red scotch brite on my air angle grinder and smoothed everyone of them. Then I blasted. Once primed and painted. I let the paint dry for a week and then took 600 grit with one of these soft sanding pads and sanded them wet. Then, same process with 1000. I stopped there since I liked the way they turned out. Once I was satisfied, I cleared each piece. Total time to sand both pieces was about 6 hours. I started around 10:00a.m. on a Saturday morning and finished around 4 or 5 the same day. I worked all day so I could clear them on Sunday. I heat my gargage so I could assure a good job. I also heated the parts prior to painting with a hair dryer. I worked well. I have about 2 to 3 coats of clear on each piece. Cool thanks. You have a lot of patience and it pays off with a great result. I was considering using a 2" scotchbrite disc on my die grinder to polish them now and I probably will. Can't wait to see the rest of your scoot. Just my recommendation but don't use your die grinder to take the paint off and polish them. I started that way thinking it would save time. It has a tendancy to chip the paint. That's why I did it by hand. Just some words of advice from someone that did it. Nothing special by any means but I'm proud of it!! Background: Jug, Head, and all the internals have been coated. Ported and polished by a local guru. Just mocked up the vm30's and I love the way its looking. 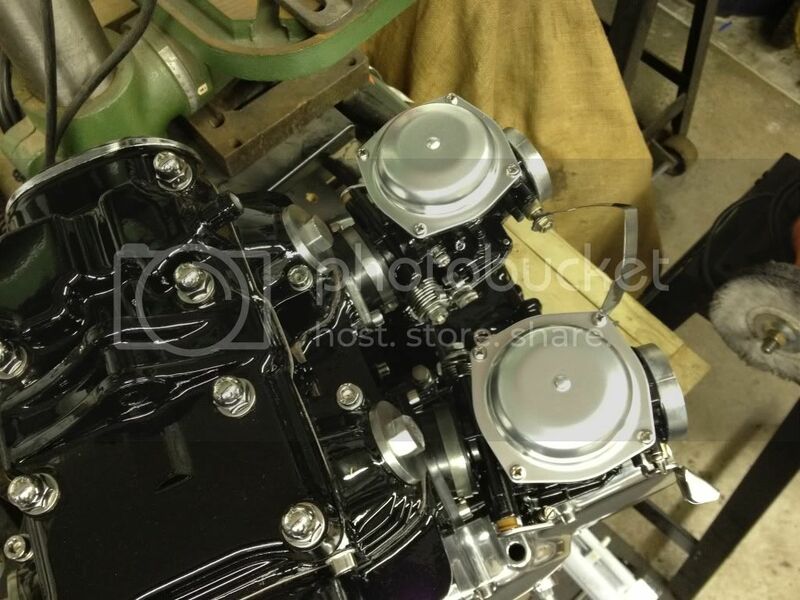 What are you guys doing as far as mounts for the carbs? Simple and clean. Sometimes the best approach. What do you mean by mounts for the carbs? 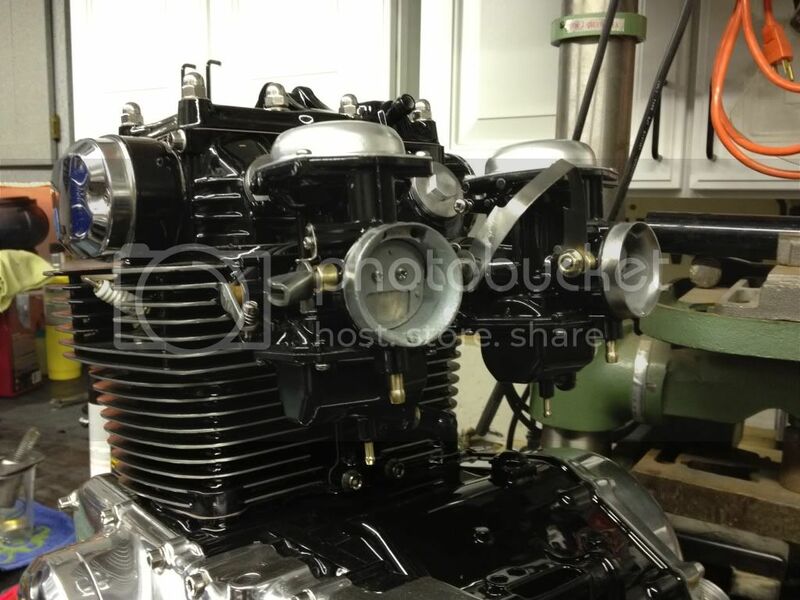 You don't have to mount the carbs the rubber manifolds dampen them. It's good to make sure they are fairly soft and not cracked and don't over tighten the clamps. They will be fine. Forgot to say nice engine mate! Re: Re: Engine inspiration thread! I was thinking about making a bracket that held the Vm30's. But from what I now understand that's not necessary. EVEN BETTER! Here are a couple of updated pics. WNTITAL, I have to say, that is about the most beautifully done engine I have ever seen. I am using it as a template for my own cl360 build. Thank you for the eye candy! The meaning of life? Try the experience of living! Two engines were used to set the new record at Bonneville Salt Flats USA in August 2006, with a total power output of 1,500bhp. Yet despite having twice the power and more than four times the weight of an F1 car, DIESELMAX had only half the fuel consumption.